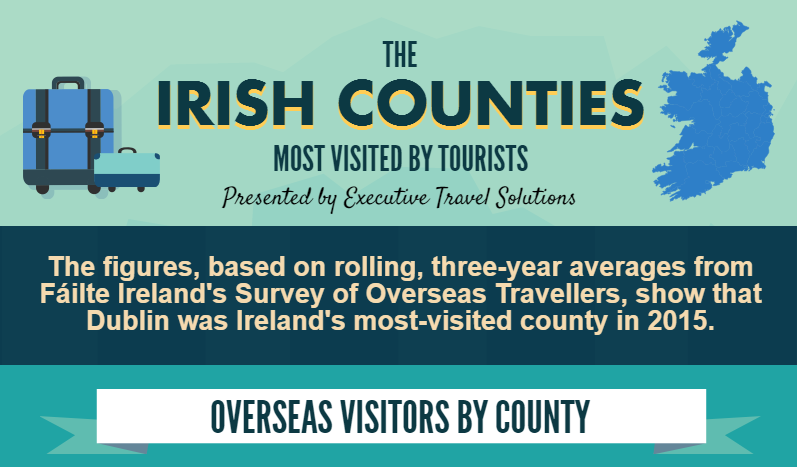 Ever wondered which Irish Counties are visited by the most Tourists? 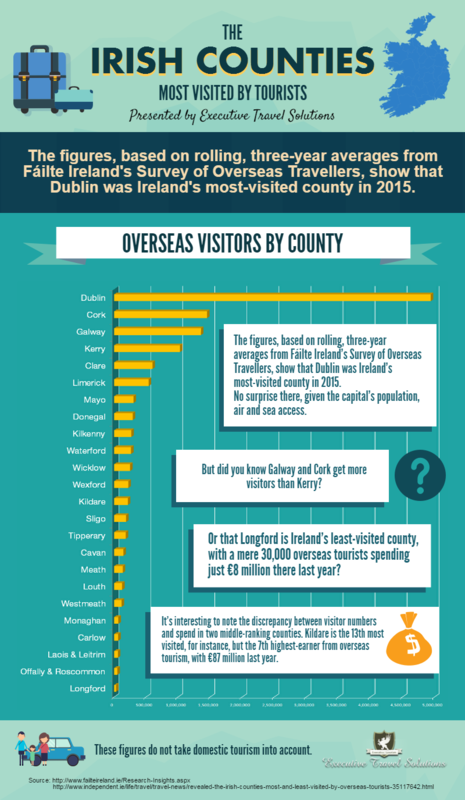 Well a recent study by Fáilte Ireland has shown that Dublin is the most popular county for tourists to visit, especially for Luxury tours in Ireland. Not surprising given the cities charm and great access to many European and Trans-Atlantic routes. At Executive Travel Solutions, we realise that you might not have enough time to go through a full PDF document, so we’ve put the information into a nifty infographic for you to easily digest! You can check out the infographic below, we hope you enjoy it!